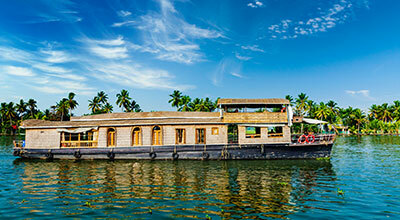 A trip through Kerala is certainly home to attraction. Covering the mountainous ranges of Munnar, the silverline shores of Alleppey, the tip of the mainland at Kanyakumari and the cultural jaunt at Madurai, this 10 day – 9 night Luxury South India Tour Packages is designed to give you a comprehensive meaning of what life in heaven is like. Your journey begins to Thekkady /Periyar /Kumily India 's largest wildlife sanctuary is a dream destination for any tourist visiting Kerala . Check out by 8 am & drive to Alleppey washed by the silvery waves of the Arabian Sea, the Venice of the East welcomes you to the backwaters of kerala. Board the Houseboat by 12 noon.for a thrilling experience on the backwaters of Kerala .On this cruise you can enjoy beautiful villages, paddy fields, small churches, temples and day-to-day life of village people. Your crew will cook you delicious meals on board the boat. Your journey begins to Kanyakumari: It has great spiritual significance for Hindus. It’s dedicated to the goddess Devi Kanya, an incarnation of Parvati. Pilgrims come here to visit Kanyakumari temple and bath in the sacred water. Chaitrapurnima (Tamil for the April full moon day) is one of the best times to experience the sunset and moon rise over the ocean in Kanyakumari . Your journey begins to Kanyakumari. Rameswaram : Rameswaram is as ancient as Ramayana & is noted in Ramayana. Devotees hailed Rameswaram as the Varanasi of the south. It is treated as a holy place, devotees bathe in the sea and bathing gate is popular there. Rameswaram is known for its long corridors and towers and 36 theerthams. Veranda is 197metres long south to north. The temple is facing the east. The sea is just 100metres away from the entrance of the temple. Sea is very calm, that water is considered scared. Later drive to Madurai. With incredible temple complexes and a recorded history going back to the 3rd century BC, Madurai has some wonderful buildings and heritage sites to discover. 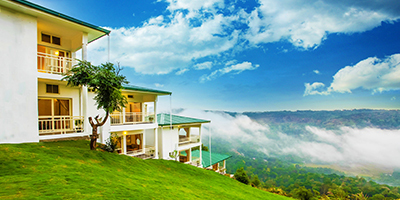 Accommodation (Twin Sharing basis) at all hotels & Houseboat .